Today, Anonymous Hackers deface multiple National Consumer websites over ACTA, the protests and hactivism continues against ACTA - 'The Anti-Counterfeiting Trade Agreement' is a proposed plurilateral agreement for the purpose of establishing international standards on intellectual property rights enforcement. Mysql Username, Emails and Passwords of all usres leaked by Hackers on Deface page as shown. 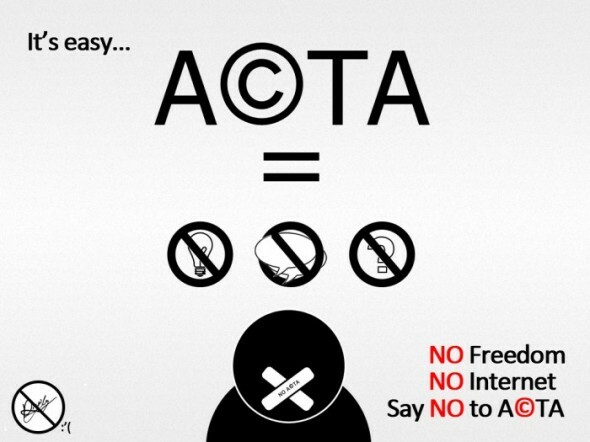 Hackers also post a video on The Top of page to show there view about ACTA. Last Month, Prime Minister Donald Tusk's web site was still offline, following attacks by hackers protesting against Poland signing the Anti-Counterfeiting Trade Agreement (ACTA), designed to combat internet piracy. 3 Days before, Anonymous hackers has sent a message and a warning to the Bulgarian authorities in connection with them signing the international ACTA agreement.The message comes in the aftermath of mass protest rallies against the controversial international Anti-counterfeiting Trade Agreement, ACTA, which were organized in 15-16 Bulgarian cities and in 150 cities across Europe Saturday. As ACTA support grows we certainly expect to see more of this hactivism to continue. We have seen some government representatives attempt to back track, not expecting the outrage and out spoken protests, and for those who continue to push in support, the road might not be as easy as expected to make ACTA law.